AS the nation braces for the 2018/2019 summer cropping season, stakeholders in the sector remain optimistic it will be a success, given the programmes initiated by Government to support the sector. Zimbabwe Chamber of Agriculture (ZAC) national co-ordinator Coleen Machingura said the positive results achieved through programmes such as Command Agriculture are likely to be repeated in the coming season. Since Government embarked on the Land Reform Programme in 2000, efforts continue to be made by resettled farmers to produce enough grain to meet annual requirements and increase production of cash crops. 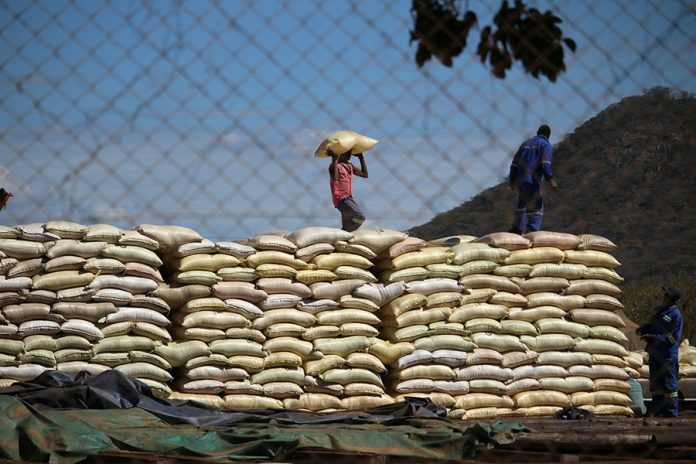 The country requires two million metric tonnes of grain to meet its annual requirements. However, the efforts are being hampered by the changing rainfall patterns and lack of resources. In the past, Government-initiated programmes such as the Irrigation Development and Rehabilitation Scheme, Farm Mechanisation Programme and Presidential Well Wishers’ Special Agricultural Inputs Scheme to assist farmers. During the past two seasons, the major highlight for the sector has been Command Agriculture, a Government-spearheaded programme, aimed at boosting food security. Under the programme, Government targets to produce two million tonnes under 400 000 hectares. “Now that ZANU PF has won the elections, it means there will be a continuation of the initiatives that it has spearheaded over the past years,” said Machingura. “Already, Command Agriculture, which has been extended to other crops such as cotton and soya bean, has yielded positive results and if farmers continue to get support from Government, more will be done. During the last cropping season, farmers met the annual target of maize required and tobacco growers produced more than 240 million kilogrammes of the golden leaf surpassing the deliveries recorded in 2000. The records become respectively the highest since 1980. Machingura commended Government for extending the Command Agriculture programme to the livestock sub-sector. Last year, Government launched a US$300 million-Special Livestock, Fisheries and Wildlife Programme facility focusing on dairy revitalisation programme as well as aquaculture and livestock disease control to enhance the quality and size of the national herd, in order to guarantee self-sufficiency and secure export markets. Under the programme, Government set aside US$80 million, with the remaining US$220 million funding expected to be drawn from the private sector. Part of the US$80 million was channelled to enable the National Parks to demarcate red and green zones which will help curb the spread of foot and mouth diseases and curtail domestic and wildlife conflict. Farmers, as primary producers, can access loans with three to five-year tenure at a modest comprehensive interest rate of four percent per annum. “Given that the livestock programme has not yet been rolled out in all provinces, with the ZANU PF-led Government back in office, this means that the programme will be taken to other provinces,” said Machingura. The national herd for major species currently stands at about 5,6 million cattle, 3,7 million goats, 481 000 sheep and 294 000 pigs. Machingura said ZAC was committed to working with Government in ensuring that the programmes it rolls out are a success. “Before the elections, we submitted recommendations to Government on how best it can assist us and how we can work together,” he said. ZAC is a private sector-led initiative aimed at promoting the development of the agricultural sector. The chamber was formed by farmers, agricultural entrepreneurs including agricultural producers, agro-processors, agro-input dealers, agricultural mechanisation service providers, agri-produce transporters, farmer organisations, agri-equipment suppliers and distributors. Machingura said the chamber acts as a link between agriculture stakeholders in the private sector, Government and relevant authorities interested and involved in the sector. He said the chamber was dedicated and committed to the development of the agricultural sector. “The chamber is a national strategic organisation in the agricultural sector which brings together all players in the sector under one roof for the purposes of proper and smooth co-ordination and well organised sector in the country,” he said. “Our vision is to be the most viable agri-business organisation in the country by actively supporting economic business growth through agricultural transformation.